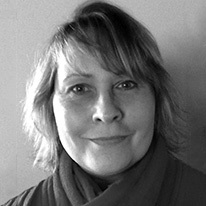 Janet has 27 years of working experience in advertising, marketing, sales, and graphic design. 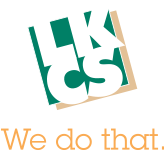 She joined the LKCS marketing department in 1997, and in her 19 years here, is proud to have seen and experienced the emergence of the company’s award-winning design department. As Creative Director, she leads her team in the conceptualization and creation of work ranging from marketing campaigns to corporate identity and branding. Janet’s contributions to our blog include her writings on design techniques, task management, and creative problem solving. For the inexperienced designer, starting a new project can be intimidating. Whether you’re a recent graduate, or an office worker delegated to creating in-house materials, the design thought process is something that gets overlooked in training. My bosses are holding their breath right now. What more can she expect from us? Well, relax. You’re off the hook this time! What I would really enjoy comes not from my workplace, but from those non-designers out there who are asked to “save the company money” and create all business and marketing materials in-house. Less is More! What dad taught me about Smorgasbord advertising. Summer travel reminds me of family vacations when I was young, especially when I see a buffet. I recall as kids, we never had much say in where we dined when we were on a road trip. Money was tight so we skimped on most meals, but at dinner time dad always managed to find a Smorgasbord (aka: all-you-can-eat buffet). I guess he figured we would never go to bed hungry!